The Atlantic hurricane season officially started June 1 and extends to November 30th. There seems to be an attitude of unconcern prevalent that is alarming. Many people who live in the areas that have been unaffected by storms for the last few years have apparently been neglected into a false sense of security that could be very dangerous. Mason-Dixon Polling and Research Inc. recently conducted a survey to determine the readiness of residents in hurricane pre areas for the 2009 hurricane season. The results of the poll revealed that over half of residents in Atlantic and Gulf Coast states are not prepared for a hurricane. Eighty-three percent of the residents polled said they have not done anything in the past year to strengthen or reinforce their homes. Sixty-six percent said they do not have a hurricane survival kit, and sixty-two percent said they do not feel that they are in any real danger regarding this hurricane season. The fact is, we all like to believe it just will not happen to us. Added to the general unconcern are the financial problems many are experiencing with the recession. Many people feel that all they can do right now is survival from day to day without the added expense and worry of completing a hurricane kit for storm season. However, being unprepared could be disastrous. If each person would make a special effort to get at least one item for their disaster kit each time they go to the grocery store they could get prepared with minimal hardship. You should decide well ahead of time whether you will evacuate or ride the storm out in your home. If you have a structurally sound home away from water and not in a flood zone you may choose not to evacuate. If you're not sure about your zone you should get in touch with your county emergency management office or call your local Red Cross and ask if you are in an area that requires evacuation. Now is the time to find this out. Do not wait until there is an approaching storm. If you plan to evacuate decide now where you will go and the route you will take. If it's possible for you and your family to leave early that is so much safer and less stressful than waiting until a day or two before the predicted storm arrival. Plan on taking your pets or boarding them in a safe place. Never leave them to cope with the storm alone. Whether you stay and ride out the storm or evacuate you must have your home prepared for the worst that can happen. First of all, determine the condition of your home and do your best to correct any weaknesses in the structure. Check for cracks, loose bricks or boards, missing or curling shingles or roof tiles. Make sure your home is bolted to the foundation. If there is any doubt that your house is properly reinforced have it inspected by a licensed contractor. You must have strong protection on your doors and windows. Professionally installed hurricane shutters, although expensive, are the safest way to prepare. Even if you plan to evacuate you want to find your home intact when you return. Professionally installed shutters are made of steel or aluminum. Although aluminum is lighter and easier to handle some experts feel that the extra strength of the steel is an important consideration. If you are a do-it-yourselfer and are limited financially plywood is the cheapest alternative. The plywood sheets should be at least one half inch thick, and preferably thicker. To work well they must be securely fastened to anchors installed inside the house. This should be done well ahead of time so that they can be measured and cut precisely and fit to each window and door. Each sheet should be numbered or named according to which window it is to cover. Store your plywood sheets flat in a cool dry place to prevent warping. Have all your nails & screws plus some extras in a plastic bag taped to the top piece of plywood so you do not have to look for them when you're ready to cover your windows. 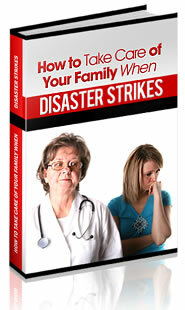 Every region has excellent hurricane survival guides with detailed and specific instructions for each particular area. If you can not find any such guide in your local grocery store, bank or do-it-yourself store, such as Home Depot or Lowe's, excellent guides can be found on the World Wide Web. Get ready now for the worst, which would be a direct hit. Once you have done all to prepare you can hope for the best, which would have to have no storms at all.